2 Samuel 7:11-13 ‘Build God’s house, God will establish your house’. 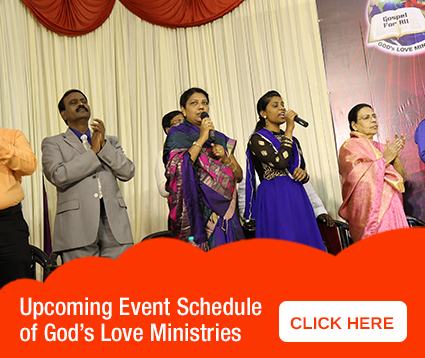 Let us praise and thank God for the souls blessed through God’s Love Ministries. God is expanding the territories of our Ministry. As there is an increase in the number of people visiting our prayer tower everyday, the present place is not sufficient to accommodate the people who walk in. We had been praying for a spacious place and God has opened the doors to identify a wonderful place in the prime area of the city (Chennai) . We are going to build a New Prayer Tower for the glory of God with facilities like chapel , auditorium , counseling center, telephone prayer tower, media center, Chain prayer etc., so that the people who visit the prayer tower can peacefully experience the presence of God in their lives and be blessed. When we build the house of God, He will establish our house. Hence, I urge you to support us in prayers and join us in building God’s house, the Prayer Tower. For God’s divine guidance and protection. To complete the project successfully without any hindrance. The financial needs to be met. Provide the best skilled persons for this divine work. Let us together pray and build the prayer tower and receive His richest blessings in our lives. May the Lord bless you according to 2 Corinthians 9:6, ‘Whoever sows bountifully will also reap bountifully’. You can donate as lead by God.Click to donate online.